No difference really. Things that made various older systems incapable of firing on the move were vehicles that couldnt handle it properly, cables that had to be layed between modules, bulky missiles, some systems couldnt even move with missiles in "ready" position, had very little to do with precision or intercept probability. So why are 10 different missiles destined for Tor? It just can't be about the range,right? "As a fully mobile system, the Tor is capable of acquiring and tracking targets while the TLAR is moving. Due, however, to the interference with launch operations while on the move, missiles can be fired only when the system is in a stationary position. " Awesome. Now waiting to see if the Buk-M3 can pull off the same feat..
why dont they install active suspension systems ,its far from combat ,with hydraulic shock absorbers`for smooth ride , that would make it much better. Militarov wrote: "Russia has successfully conducted live fire tests of its advanced Tor-M2U surface-to-air missile system. What made the test so special is that the missiles were fired on the move! What the system could not do was to fire on the move. The trials were conducted at Kapustin Yar range in Russia’s southern Astrakhan region. Moving at 25 km/h over rought terrain the Tor-M2U managed to spot and destroy the target maneuvering eight kilometers away. According to Almaz-Antei deputy chief designer Pavel Sozinov, the successful test was putting the Tor–M2U on a qualitatively new technological level making it possible to engage aerial targets from a moving position." This is a bit off subject, but I just realized how ironic that the 'Tor' series of SHORAD's main competitor (Pantsir) is nick-named "Carapace" when the Tor series resembles a Tortoise more so than Pantsir does lol! Hell you can't spell "Tortoise" without "Tor" lol! Yes I'm well aware of that, and I'm just pointing out that Tor's physical resemblance looks more like a turtle than their main competitor. Militarov wrote: "As a fully mobile system, the Tor is capable of acquiring and tracking targets while the TLAR is moving. Due, however, to the interference with launch operations while on the move, missiles can be fired only when the system is in a stationary position. " I am unable to understand this because TOR calculates guidance commands and command guides its missiles via a datalink so missiles can be fired on the move. We already have seen that missiles are fired on the move. This refers to 9K330 TLAR which was not capable of launching missiles while on the move. Tor-M2 now finally become equal to Pantsir in its capability to launch missiles on the move. medo wrote: Tor-M2 now finally become equal to Pantsir in its capability to launch missiles on the move. How do you know the Pantsir can? It can fire missiles on the move, however if on truck chasis (as they all basically are) they cant fire their cannons on the move. Tracked variant can use both cannons and missiles while on the move. Ah excellent, yes now I definitely remember reading about how the wheeled version couldn't use its cannons on the move (but could use its missiles). I knew it had those hydraulic clamps for something. Werewolf wrote: We already have seen that missiles are fired on the move. Yes,what I was discussing was the intercept probability on the move. Does it decrease when the Tor is on the move. Can't know for sure but it definetley will not increase when on the move. I would assume that it does decrease when fired on the move but question is how big is the difference based on guidance it shouldn't be big of a deal in difference. One of the problems that prevents missiles being fired on the move is that if the vehicle hits a bump as the missile is being launched the missile can be forced against one side or the other of the launch tube perhaps damaging or shearing off control or stabilisation surfaces. Obviously in the later models that can fire on the move stabilisation of the missile tubes is likely improved but also the design of the missile and tube interface will have been adapted to prevent damage despite any movements during missile launch. In terms of guidance accuracy degradation while moving... as you can imagine that if you are moving you still have to keep track of both the outgoing missile and the incoming threat target... if the sensor you are using is vibrating or moving its accuracy in measuring the precise location of the missile or the target will be effected in a negative way. Accuracy with radar sensors might not even be effected... remember the radar centre of a target might not even be a part of the target so an error in any direction wont make a huge difference to lethality as long as the proximity fuse works properly. 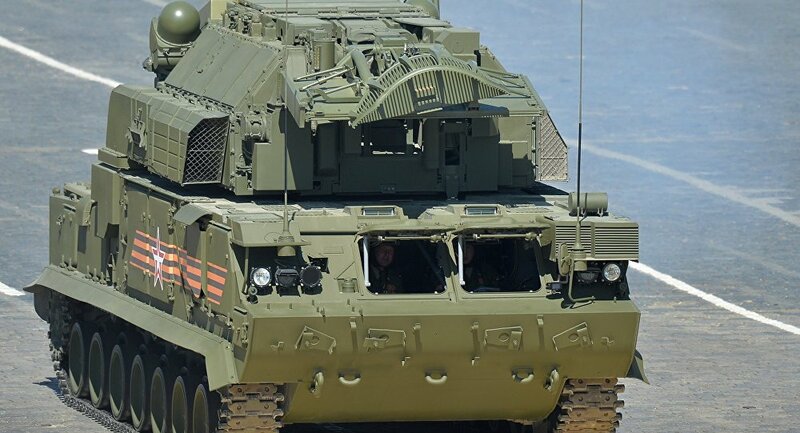 Servicemen of the Eastern MD separate tank formation air defence units, which are located in Buryatia, will start mastering Tor-M2U newest missile AD complexes at the base of specialized air defence center in Yeysk (Krasnodar Krai). In the course of the training course, the servicemen will practice loading of the launching systems, searching and detecting of aerial targets. The crews will perform first firing at the Kapustin Yar air defence training center in the second half of 2016. After retraining course, AD unit personnel will return to the permanent location with the new hardware. Tor-M2U newest missile AD complexes are to replace Osa-AK systems this year. Here we could see for the first time serial Tor-M2 with new EO complex with additional thermal imager instead of old TV camera. I thought it always had a Thermal imager. There were some pictures from the Okotnik Image Processor that were taken from several plattforms, all in TV and IR channel and IIRC Tor was one of them. Have to check it this weekend tho. New Tor-M2 firing on targets in Buryatia. These new Tor-M2's, do they use the newer 9M338 missiles? sepheronx wrote: These new Tor-M2's, do they use the newer 9M338 missiles? I don't know for the missiles, but visual difference between them and older variant is in optical sight, where newer version have different box with TV and thermal imager instead of old long TV camera. It only fires two missiles. I don't know exactly how Tor is programed, but the missile is guided to the predicted point of intercept by the launcher, and the path is updated as necessary. If I had to guess, due to the extreme angle present during the initial orientation phase of the flight, that the guidance system has to uses at least two separate homing algorithms. The zig-zag occurs when the algorithm switches over from the initial boost phase, to the en route/terminal phase. That is a very cool video. Good find.